As a business owner you must be having a good idea of the value of your company, however, that may not be the case. You as a business owner need to go beyond your own guess of the company’s value and take help of a valuation expert in order to satisfy section 409a valuation. This valuation is done for public or private companies who issue its employees traditional or non-traditional deferred compensation such as stock options, employment agreement and offer letters, salary deferral arrangements, bonus plans, restricted stock units or severance agreements. So, if you are issuing options or any other form of deferred compensation to your employees, then you should hire a 409a valuation adviser who will give you an assessment of the fair market value of your business. Before moving any further, first, let us explain what 409a valuation is. What is 409a valuation and how it works? First thing first, it is important to distinguish between a 409a and a valuation set by investors during fundraising. 409a determines the fair market value (FMV) of the company and is set by a third party valuation services. 409a is required by the IRS to set the strike price for common shares and ensure that options represent their real value. The 409a valuation services provider is likely to employ the asset, income and market approaches to reach an enterprise value while using methods such as the option pricing method, the current value method, and the probability-weighted return method to allocate this enterprise value to the equity of the company to one common share. Why is 409a valuation needed? The section 409a of the tax code was introduced in 2005 to more tightly regulate deferred compensation. This is an agreement where a portion of an employee’s income is set aside to be paid at a later date. Section 409a valuation introduces a series of rules that companies must follow when deferring compensation for employees and contractors. These rules are designed to objectively value the deferred compensation and make it easier for the IRS to tax it properly. If the companies comply with the rules, management and employees can go about their business normally. However, if they do not, they run the risk of a visit from the IRS and a series of steep penalties. 409a valuation for startup and new businesses is especially important as deferred compensation play a very important role in employee pay through frequent use of stock options. For them, stock options represent an agreement between employees and management. When is 409a valuation done? This 409a valuation is an important valuation to be done if you plan to offer common stock options. This should be done at this time. 409a is an appraisal and to determine this, the firms take one of the following approaches to appraise fair market value. Market Approach – It is an analysis of a comparable private and public companies and transactions. Income Approach – An analysis of a company’s free cash flows to determine projections for the next 5 years. Asset Approach – An analysis of the company’s tangible and intangible assets. Is it necessary to hire a valuation expert? While it is possible to run your own financial analysis to determine the FMV which should be done early on in the lifecycle of your company, however, it’s never worth it because valuations are difficult and take up a lot of time. You run the risk of IRS penalties as well. The other method is to use 409a valuation calculator which determines the exact value of your business, but it is equally risky. So, it is better that you hire 3rd party valuation firm just like HP Accounting so that your startup receives safe harbor protection from IRS penalties. Safe harbor for an organization means that it has completed an acceptable valuation in the last year from the 3rd party and is protected from having to prove to the IRS that your valuation is accurate. 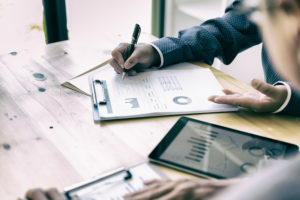 If you fail to prove, the IRS audits the firm themselves and the options you issued most recently are deemed not to be properly set at a fair market value. In this scenario, the employees who had received options at the incorrect price will be taxed on those options with an additional 20% of the value and will have to pay other penalties as well. This is a significant financial burden to employees who should have been protected by a more knowledgeable and responsible founder. So get a 409a valuation from HP Accounting and protect your company and your employees. This entry was posted in 409a valuation. Bookmark the permalink.